Well now. 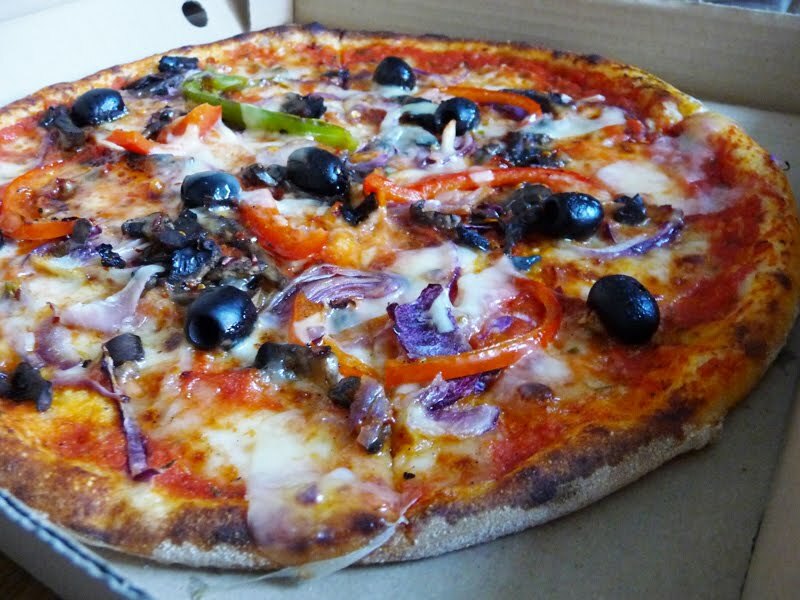 It seems Mr Graphic Foodie is a secret frequent visitor to Pizzaface. Knowing how I feel about take-aways, he has done well to stash the boxes out of view. Tsk. But Pizzaface really isn't your usual pizza take-away. 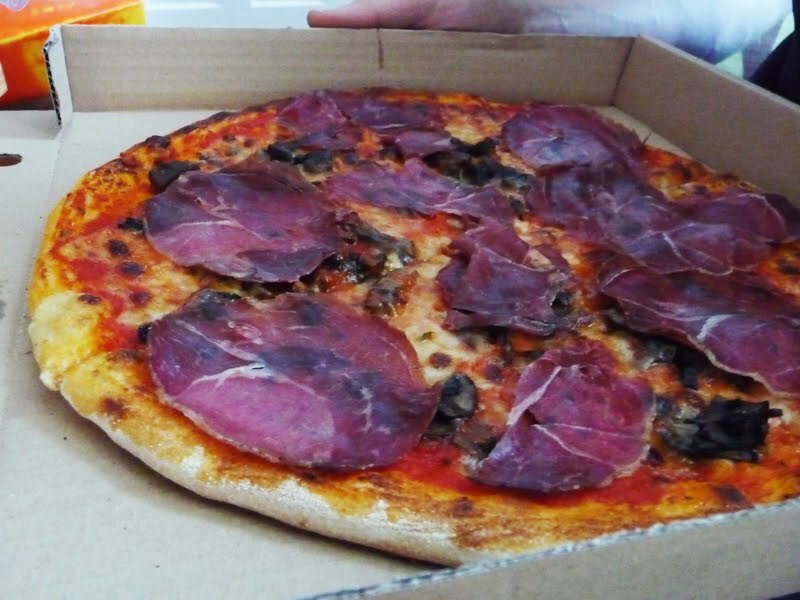 The lamb prosciutto and wild boar salami found here are not your usual take-away toppings. You will happily not find the likes of a "stuffed crust meat feast" or "Peking duck" but instead some excellent combinations like the ones we ordered such as The Johno; red onions, olives, peppers, sautéed mushrooms, Parmesan and fresh chillies, The Bore; Pork and wild boar salami with sliced red onions and mushroom and The Pecora; A "strong and unique" lamb Prosciutto topped with sautéed mushrooms. Priced slightly less than the pizza take-away bad boys at around £9 and oh, so much better, you can now top up your order with gelato from my favourite Boho (Sea Salt caramel, Mojito Sorbet, Chocolate and blood orange sorbet) and wines from the fantastic Butlers Wine Cellar - this place is a mini celebration of Brighton independents. Also happy to report that the bases, whilst still no Franco Manca, have considerably improved since my last review and are arguably the best you are going to get in Brighton. I would love to see them using a wood burning oven in the future. Also worth noting is that they offer vegan options and gluten and wheat free bases (using Doves Farm organic flour). So very, very Brighton. Good work Pizzaface and Mr Graphic Foodie, no need to hide the boxes any more!